This lot features a Howard Cosell autographed framed photo. 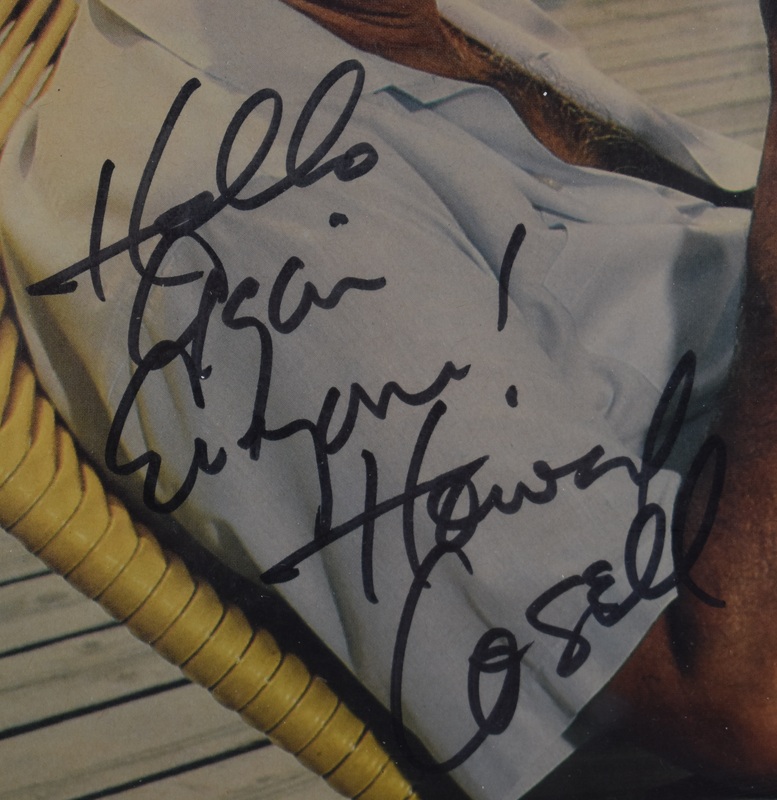 Cosell has signed and inscribed the photo "Hello Again Ethan, Howard Cosell" in black marker. 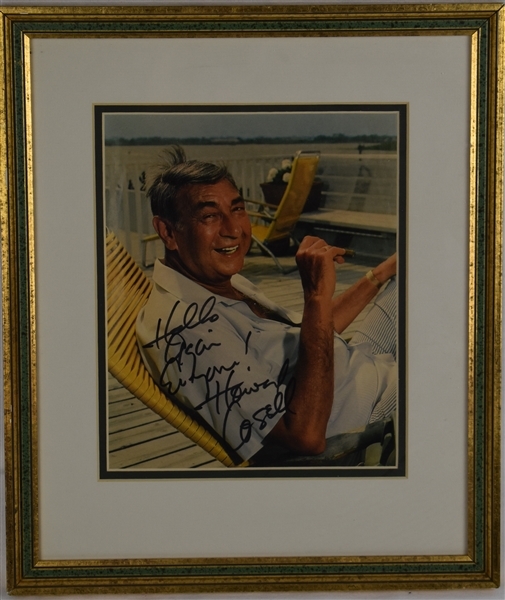 Very attractive frame. 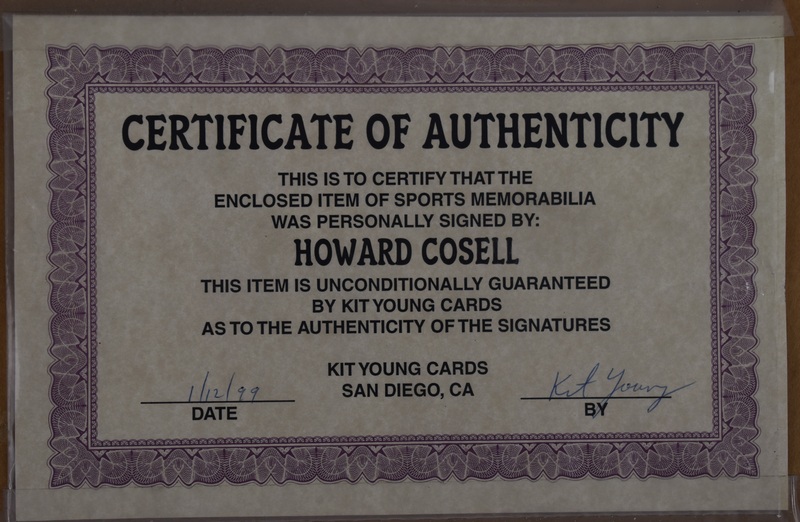 Accompanied by Certificate of Authenticity from Kit Young.